Home / FAQs / How Do I Apply for SSD Benefits? 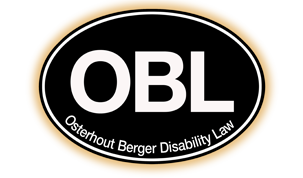 At the Osterhout Berger Disability Law, we guide disabled individuals through the process of applying for SSD benefits. We have more than 50 years of combined experience and over 30,000 successful claims under our belt. We believe our experience, knowledge and the fact that we handle only disability claims make us your best choice. For a free consultation to discuss your SSD benefits claim with an experienced Pittsburgh attorney, contact the Osterhout Berger Disability Law, toll free at 1-866-438-8773. When you have decided to file for SSD benefits, you have three options for applying. You can apply by scheduling an appointment at your Social Security local district office, you can file online or you can arrange an appointment at our office to begin the process of applying under our guidance. No, you do not need an attorney to apply for SSD benefits. However, a vast majority of initial applications are denied by the Social Security Administration (SSA). With knowledge and experience on your side, we are able to improve your chances of success on your first attempt. We know what the SSA is looking for. We can assist you with completing necessary paperwork and gathering required documentation. What is the SSD Benefits Application Process? In an application for SSD benefits, you will be asked to provide basic information about yourself and your work history and you will be asked to generally describe your medical problems. Social Security will want to know the names and addresses of doctors you have seen and hospitals where you have been treated. You’ll also be asked to sign the medical releases, so Social Security can contact medical providers and obtain records. As part of the application process, you may also be asked occasionally to complete various forms in which you are asked questions about your medical symptoms’ effect on your daily life activities. After Social Security obtains records from your medical sources, it may determine that a “consultative examination” is necessary. A consultative examination is a medical examination performed by one of the doctors chosen by Social Security. They are expected to provide additional information about your medical problems and how they affect you. For assistance in completing the application process or in filing a SSD benefits claim, schedule a free confidential consultation by calling us at 412-794-8003 (locally in the Pittsburgh area) or toll free at 1-866-438-8773 (outside the Pittsburgh calling area). If you prefer, you can fill out our intake form and we will contact you to schedule an appointment.